SHUT all your windows and doors. Australia could be in the midst of a spider plague. It’s the stuff of nightmares and we have the weather to blame. 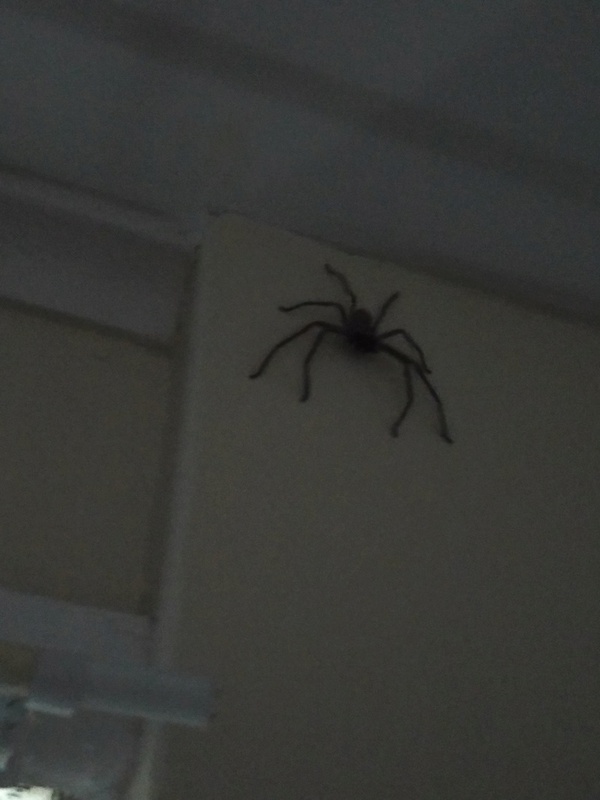 Huntsman, redbacks and funnel-webs are rearing their ugly heads and are starting to terrorise those who fear the eight-legged beasts. Queensland Museum’s arachnologist Dr Robert Raven told news.com.au patchy rain and warm days encouraged spiders to come out of their hideaways. The rain and sun is causing rapid plant growth, meaning the insects are emerging. Dr Raven said the spiders were then coming out to feed on the insects. “In the past we’ve had early rain and nothing. Just really dry summers. But this summer, the rain is allowing the whole system to crank up again,” he said. It’s not a plague as such, the number of spiders has always been there, it’s just now we get to see them more often. Dr Raven said rainy days also pushed the spiders inside. The spiders crawling around are mostly huntsman, but Dr Raven predicts redbacks and funnel-webs will soon emerge more often. It’s not just the rain that's causing these creepy crawlies to come out, but also the heatwave. A huge amount of spiders live in our ceilings, according the Dr Raven. In winter they like to hide out near the light fittings to keep warm but in summer, the ceiling gets a little too hot so they crawl into the house through gaps to cool down. He said any black spiders seen in a laundry this time of year were particularly dangerous, as in certain parts of Australia, they were likely to be venomous funnel-webs. Dr Raven also said nobody should put their hands into down pipes because that’s where many of the poisonous spiders liked to hide out. Next time you get out of the shower, it’ll be worth checking the towel on the rack for spiders. Dr Raven said huntsman spiders loved bathrooms. “You pick up your towel and the next thing you know you have a huntsman on your face,” he said. We shouldn’t panic about the spider plague, a lot of the spiders around are pretty harmless, but Dr Raven said redbacks were of particular concern. “If you start finding them around the house, one of the things to look for is a web hanging on gutters at downpipes. If it’s there, it means you should probably get professional help to treat the redbacks,” he said. People should also be on the look out for funnel-webs, as the venomous males lurk around backyard pools in the heat. Funnel-webs can be found on the bottom of the pool, but Australia Natural Pyrethrins warned people on its Facebook page it didn’t mean the spider had drowned. “Funnel-web spiders can’t swim but they can trap small air bubbles on hairs around the abdomen which can extend their underwater survival for 24 to 30 hours,” the post said. Dr Raven funnily enough has a fear of spiders himself, but he has a trick to curing it, which will certainly come in handy while the spiders are out in full force. “If you want to control your fear of spiders, look at peacock spiders. They are little fluffy things and will soften your heart,” he said. I got a bit of freight a few nights ago, 3am and there was a thud and noise of stuff moving. And both the dogs where in bed with me. so I got up to check, figured better in case it was a snake. 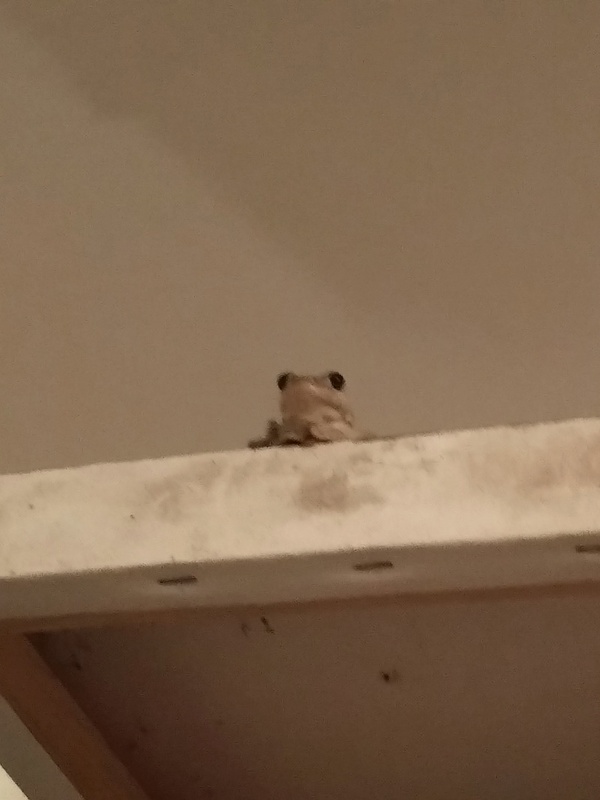 turn the light on and start to look and there is this little frog staring down at me from the top of a pile of canvases. cant believe he made so much noise. that lizard I posted in the other thread has decided to hang around, I found him again under the fridge, he didn't want to leave and the dogs had obviously left him alone, I could see he'd been walk about, So I just feed him some grapes. 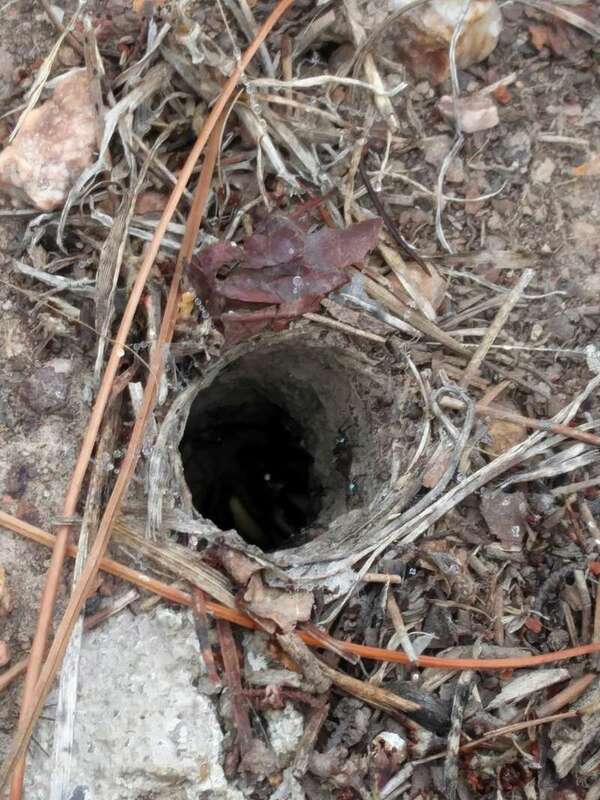 FYI here is a pic of the dangerous sort of spider (ground spiders) this one is not the hyper venomous funnel web but you wouldn't want to get bit by one still.